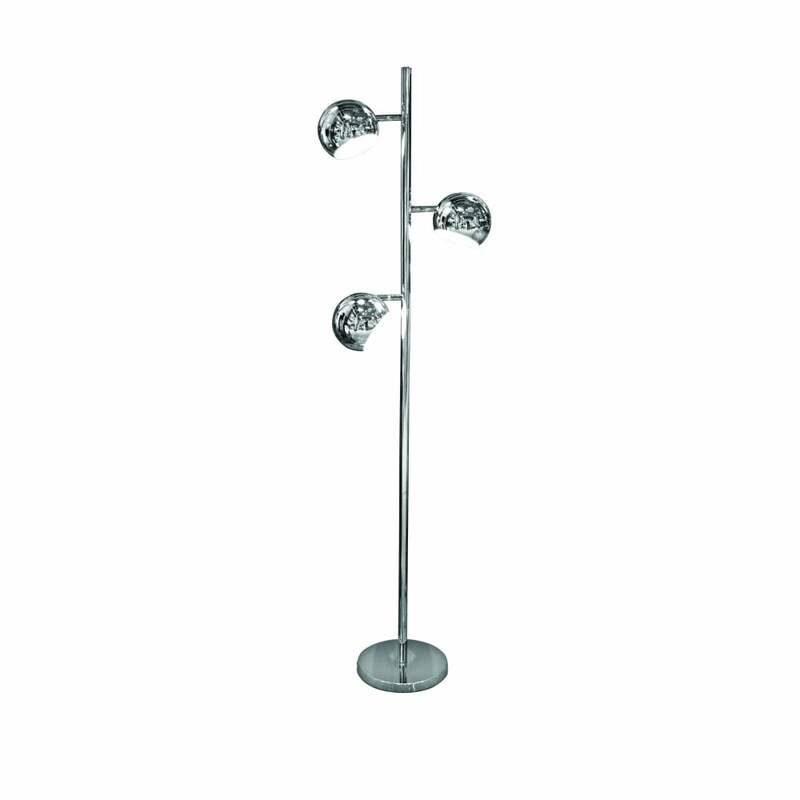 AZzardo Trinton 3 light floor lamp in polished chrome finish with globe shades. The product code for this fitting is AZ0024. This stylish floor lamp oozes sophistication with it's sleek and modern design. Trinton features a circular base with a slim tall stem with 3 bars leading to a trio of open globe shades all of which have a polished chrome finish to them. This beautiful floor lamp would be the perfect choice for modern or contemporary interiors. AZzardo have a range of floor lamps available all of which can be viewed and purchased via our website.